SPECIFICATION / Products | RICOH ELEMEX CORP. Display: Analog 3-hand with LCD Secondary time indication, Day, Date and Month. EL backlight on LCD part of the display. 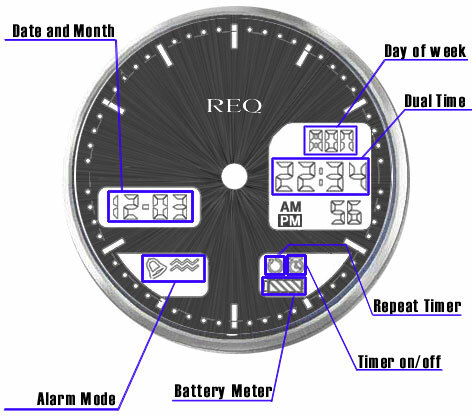 Alerting method: by vibration or sound for Alarm, by vibration or beep sound for Timer. Battery Life: about 1-year after fully charged.